Learn how you can finance community college through direct loans. Stafford loans are made under two federal programs: the Federal Family Education Loan (FFEL) Program and the William D. Ford Federal Direct Loan (Direct Loan) Program. 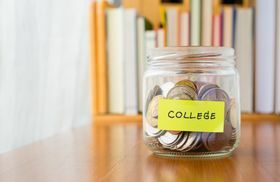 Whereas the FFEL Program has been more widely used by community colleges in the past, students and colleges are becoming more aware of the Direct Loan Program as another option. This article explains the Direct Loan Program, shows how Direct Loans compare to other Stafford loans, and discusses how the Direct Loan program may become the dominant, if not exclusive, college lending program. Note: For an overall view of college assistance, see Community College Loans and Affording Community College. The Direct Loan Program was created in 1993 to offer both subsidized and unsubsidized Stafford loans. Under the Direct Loan Program, students borrow directly from the Department of Education rather than from private lenders. On a subsidized loan, the federal government pays the interest while the student is in school. 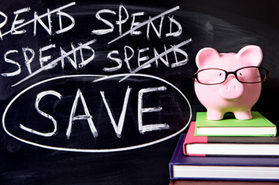 The interest on an unsubsidized loan is accumulated until the student begins repaying the loan. The Direct Loan Program also offers PLUS (Parent Loan for Undergraduate Students) loans. To apply for a Direct Loan, a student must submit the Free Application for Federal Student Aid (FAFSA), which is available online or at student financial aid offices. A student must also sign a promissory note, the Direct Loan Electronic Master Promissory Note, which sets forth the terms and conditions of the loan. Prior to June 30, 2006, the interest rate varied, but could not exceed 8.25 percent. A reduction in the maximum interest rate for Stafford loans is being phased in during 2006 through 2011. For loans made on or after July 1, 2008, but before July 1, 2009, the interest rate is fixed at 6 percent. Direct Loans are serviced by the Direct Loan Servicing Center, which can be reached by telephone, online, or at two servicing locations. Students make loan payments directly the Direct Loan Servicing Center. A Voice Response Unit (VRU) provides access to basic account information. While some believe that private lenders are superior in processing and servicing loans, others point out that the government uses private contractors to help administer and service Direct Loans. Thus, the FFEL program and the Direct Loan Program may be serviced by the same or substantially the same companies. As an incentive to make timely payments, a rebate is offered to borrowers under the Direct Loan Program. The rebate, currently set at 1.5 percent of the loan amount borrowed, is paid up-front, increasing the net loan amount that the borrower receives. To keep the rebate, borrowers must make their first 12 required payments on time. 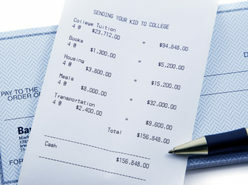 If the first 12 payments are not made on time, the amount of the rebate is added to the principal balance of the loan. Under the Direct Loan Program, borrowers who hold certain public service jobs are entitled to forgiveness of a certain amount of their loan. Prior to July 1, 2008, borrowers under the FFEL Program were able to take advantage of the public service forgiveness only under limited circumstances. Beginning July 1, 2008, however, FFEL borrowers can consolidate or reconsolidate FFEL loans into the Direct Loan Program in order to qualify for the loan forgiveness. 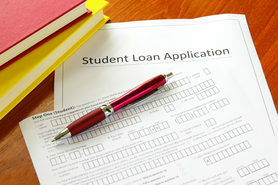 A student cannot obtain a Direct Loan unless his or her college participates in the Direct Loan Program. 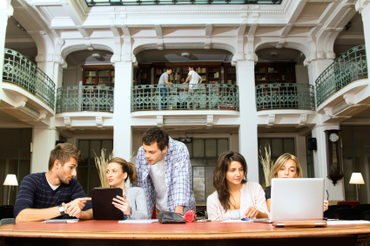 Most community colleges participate in the FFEL program. Due to the current crisis in the financial markets, however, some private lenders have either withdrawn from the FFEL Program altogether or become selective as to which schools they will work with. 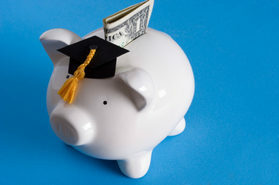 While students are still able to obtain student loans under the FFEL program, many have had to change lenders when their current lenders withdrew from the Program. Funds under the Direct Loan Program are paid directly to the schools, either upon request based on immediate disbursement needs or automatically based on accepted actual disbursement data. 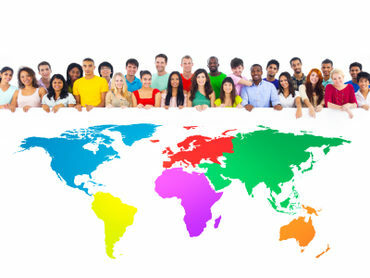 Participating schools have access to customer service. A primary customer service representative is assigned to the school by the COD School Relations Center to assist in loan processing, reporting, and other aspects at the front end of the process. Once a loan is booked, the Direct Loan Servicing Center assists schools with borrowers who are repaying their loans and with default prevention. Both services have online counterparts. Note:For a more detailed look at the FFEL program, see Stafford Loans for Community College Students. Lender. The most obvious difference between FFEL Loans and Direct Loans is the identity of the lender. A student borrower under the Direct Loan Program borrows from the Department of Education. In contrast, private lenders provide loans under the FFEL Program. In the FFEL Program, students may choose a private lender but may have little information with which to evaluate the companies. Cost. The cost effectiveness of the direct loan program is hotly contested. Some believe that statistics show that the FFEL Program costs taxpayers less than the Direct Loan program. On that basis, some have called for the repeal or phasing-out of the Direct Loan Program. Some also claim that the FFEL program offers superior customer service and greater borrower benefits, but it is not known how reduced subsidies will affect such benefits. On the other hand, government studies from the Government Accountability Office (GAO), the Congressional Budget Office (CBO), and the Office of Management and Budget (OMB) consistently show that the Direct Loan Program is more cost-efficient for colleges and taxpayers. Stability. The Direct Loan Program is seen as the more stable option because it protects students and families from volatility in the credit markets. 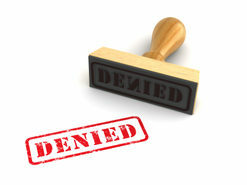 Moreover, students will not have to find a new lender if a current lender withdraws from the other program. 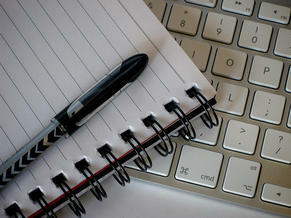 Interest Rates: The interest rates under both the Direct Loan and FFEL Programs are the same. Eligibility requirements and borrowing limits are also identical. With the full repercussions of the mortgage debacle are still unknown, more attention is turning to the Direct Loan Program as a source of student aid. Senator Edward Kennedy (D. Mass.) urged the members of the American Association of Community Colleges to enroll in the Direct Loan Program in order to ensure that their students have access to student loans. 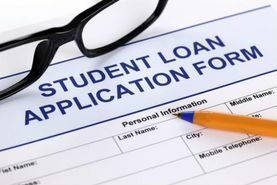 Senator Kennedy warned that, if more private lenders withdraw from the FFEL Program, the students who most need student aid, many of whom attend community colleges, will not be able to obtain loans. If the statistics for the 2008-09 academic year are any indication of what is to come, the Direct Loan Program may be on the verge of eclipsing the FFEL Program. According to the Chronicle of Higher Education, the number of student loans through the Direct Loan Program for the current year has increased dramatically. Last year at this time, the Direct Loan Program had made $7.55 billion in loans at 851institutions. This year, 1,156 colleges and universities have received $10.84 billion in loans. So far, the government has been able to accommodate the growing demand. The trend toward the Direct Loan Program is expected to continue as more private lenders drop out of the FEEL Program or limit the schools they will serve. 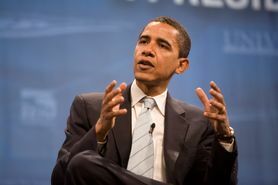 President-Elect Obama has called for changes in the present college assistance scheme. Obama favors increasing Pell Grants to reflect more accurately tuition increases. Obama also advocates terminating the FFEL Program to cut out private lenders altogether. Under the President-Elect's plan, the Direct Lending Program would originate all college loans on a centralized basis. Finally, Obama has proposed a $4,000 refundable tax credit in exchange for 100 hours (about 2 hours per week) community service during the year. • Loan capital is guaranteed to be available. • All schools and their students are eligible regardless of default rate or loan volume. • The Direct Loan Program streamlines the loan process by eliminating private lenders. • Students benefit from the one-stop-shopping service. The Direct Loan Program is playing an increasing role in student assistance for higher education. The future role of the FFEL Program remains uncertain. It is possible that competition between the two programs would be beneficial for student borrowers. It is certain, however, that the Direct Loan Program fills a pressing need for expanding opportunities for college students to obtain loans for their education. Is President Obama's Plan for Free Community College Right for America? 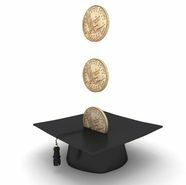 Which Community Colleges are the Most Affordable? Immigrants and Community College Tuition Costs: What?s Fair?